Magbiovin workshop dedicated to Intellectual property, innovation promotion and technology transfer was planned to consist of two thematically separated parts. The first part is devoted to fundamentals of intellectual property, the foundations of intellectual property rights, the evaluation of technology as well as licensing agreements. The second part is focused on intellectual property rights, clauses on confidentiality and ways of their formulation, business plan, operative procedures for spin out units, and various phases of production and the creation of prototype. The aspects of prototypes design were also covered. All the topics were followed by examples from the practice. 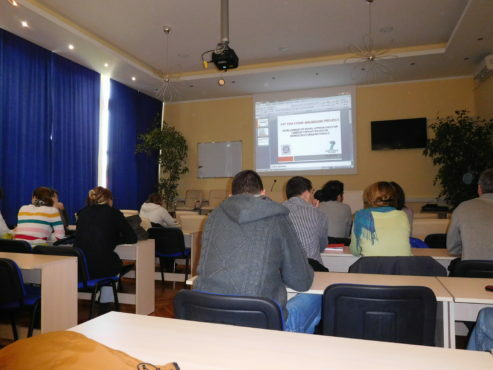 According to the Project Plan [28 month], Magbiovin team organized two Workshops in the Institute of Nuclear Sciences Vinca, which were dedicated to the above listed topics. Participants included Magbiovin team members and representatives of stakeholders, but were also open from broader scientific public which included mainly researchers from Vinca Institute and representatives of Republic of Serbia Intellectual Property Office. The main goals of the Workshops were to clearly define pathways from idea to licence or spin-out technology and to train team members in the field of Intellectual Property Rights, its importance and proper procedures used in the innovation protection. First workshop part was entitled “Intellectual property, innovation promotion and technology transfer” and was held on April 26th 2016. 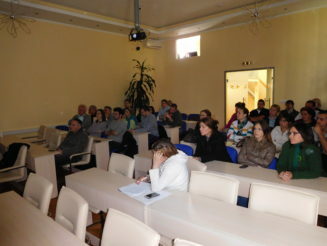 Due to the large number of participants (39), the workshop was organized in the Hall of Laboratory for Physical Chemistry, Institute of Nuclear Sciences Vinca. Keynote Speaker was Dr Bratislav Antic, Magbiovin Team, Institute of Nuclear Sciences Vinca. How to make the feasibility study, assessment of patent potential and its valuation. Patent was granted- what to do next? 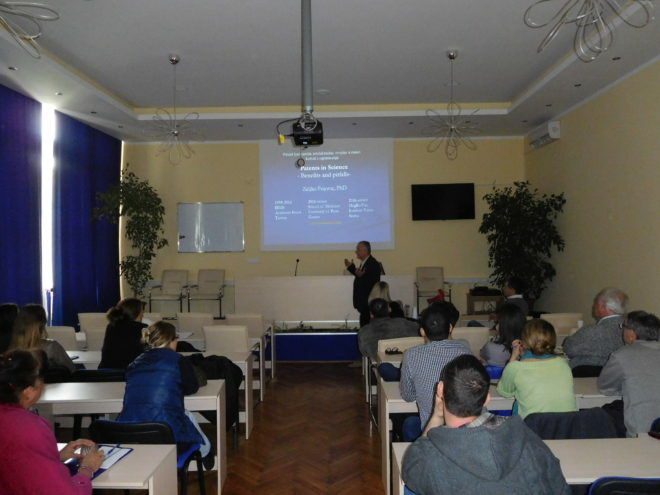 During the second part of the Magbiovin Workshop entitled as ‘Introduction to the Patent System’, experts of the Education and Information Center of the Intellectual Property Office, Republic of Serbia held the lectures on intellectual property with the focus on the Intellectual Property rights, which serve as a protection of research results. The Workshop was organized in the Institute of Nuclear Sciences Vinca, Hall of Material Science Laboratory on June 15th, 2016. The introduction lectures were devoted to the presentation of Patent protection system as a tool to protect an invention which is new, involves an inventive step and is susceptible of industrial application. After that the detailed representation of the patent system was organized to demonstrate the principles of national and international patent protection. The participants at the Workshop had the opportunity to get acquainted, at the specially arranged premises in the IPO, with the possibilities of research of the globally available data bases of patent documentation. A lecture followed on the estimation of the values of the intellectual property with the demonstration of the basic methods for the evaluation, and the review of the new global trends at the patent markets. In the further lectures, legal protection of the invention obtained by a patent/petty was explained in details, including patent holder rights and licence, periods of protection or maintenance and possibilities for transfer of rights. The most attention was given to the lecture on Patent Application Process. During the discussion time, the lecturers answered to the numerous questions about elements of the copyright and forgeries, as well as the aspects of the moral rights.